With both the ATP and WTA tours in the desert of Indian Wells, Calif. for the BNP Paribas Open, the Sportime World Tour rolled on with an event inspired by the tournament. Once again, DJ CM was on hand in the party room keeping parents and the players entertained as they awaited their turns to take to the court. 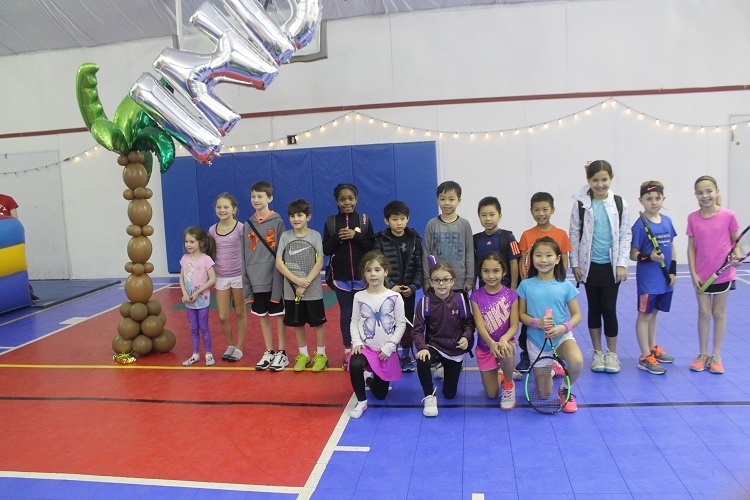 In addition to playing music all afternoon, DJ cm held a dance contest, a hula-hoop competition and a basketball shooting contest, and the party room also featured a bouncy house and catered food. 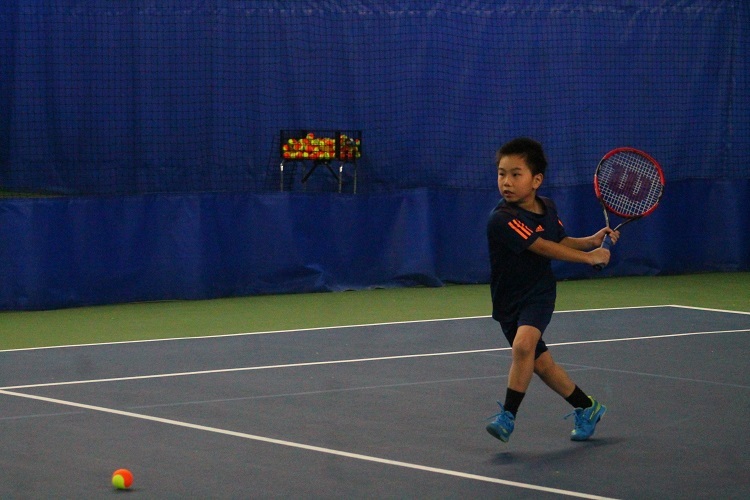 On court, the parents were able to watch their kids take part in drills and showcase their skills. 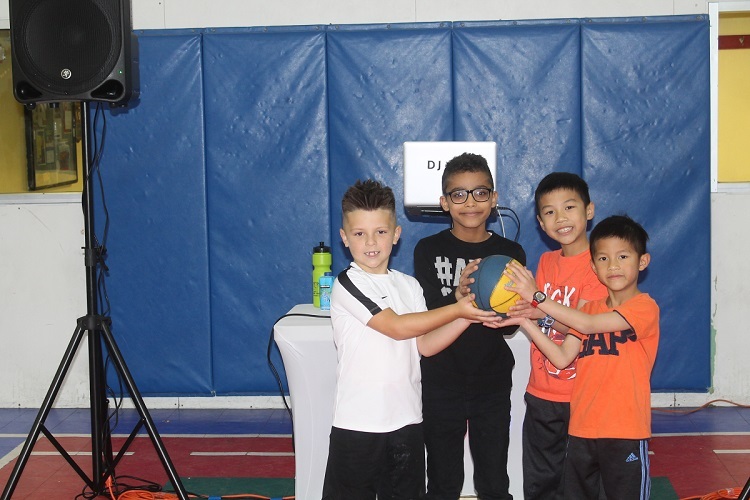 One new aspect of this installment of the Sportime World Tour was a round-robin tournament where the kids could compete against one another in match play. 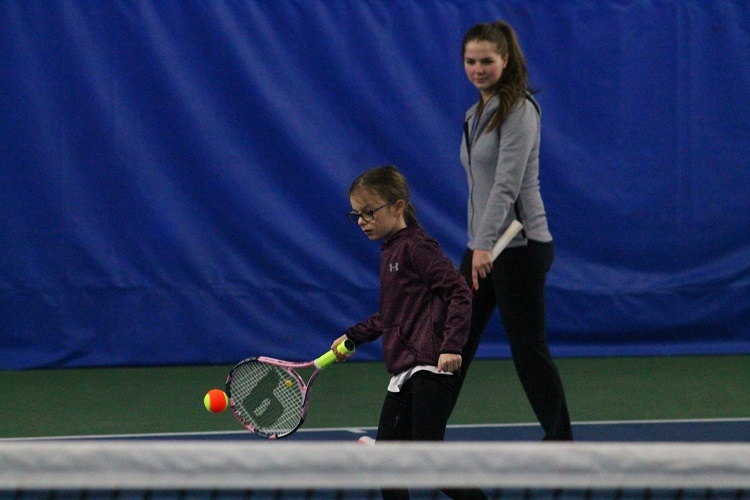 “We tried to keep the sign-ups a little bit smaller for this event in order to accommodate a slightly different on-court experience,” said Jason Wass, Director of the World Tour. 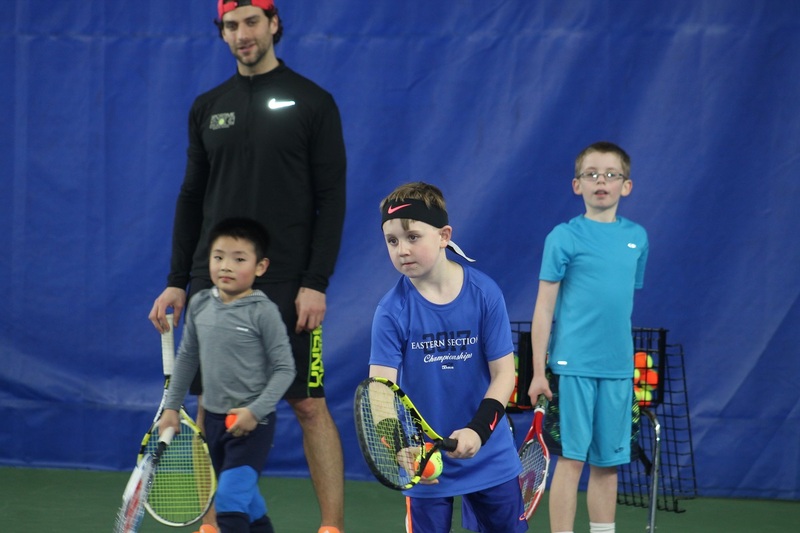 “For this event, players were able to play in more of a traditional tournament format. And it worked really well!